Long range sorties in the day and night, various attacks and sky protection – these are a few of the mission that make up the routine of the F-15I and the “Hammers” Squadron during the last 19 years. 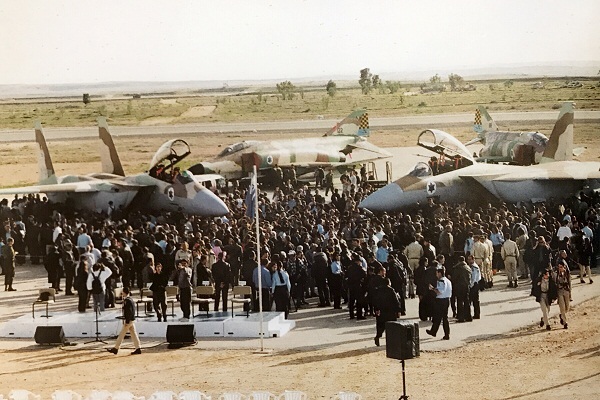 On January 19, 1998, 19 years ago today, the first pair of F-15I fighter jets landed in Israel, exactly five years after deciding upon their acquisition. They were welcomed by a unique ceremony, escorted by two “Baz” (F-15) and two F-4 “Phantom” jets. The strategic fighter has since participated in hundreds of operations and missions, the jet’s unique capabilities making it the tip of the IAF’s spear. On January 1st, 1999, the “Hammers” Squadron that operates the F-15I received operational capability to attack. On January 11, about a year after landing, a pair of jets took off for their first operational attack in Lebanon. “It wasn’t a complicated flight, the sortie was 40 minutes long, we had great visibility and there were no weather related issues. After attacking the target with guided armament, we had very good hits”, the WSO from the leading jet shared with the IAF magazine later that month. The “Hammers” Squadron was the first squadron in the IAF to integrate the advanced SBD (Small Diameter Bomb). The SDB is a guided bomb that can reach long ranges and is characterized by deep and precise penetration capabilities while minimizing the damage to the target’s environment. The unique weapon was later also integrated in the “Knights of the Orange Tail” Squadron and in the future, will also be used by the “Adir” (F-35I). While in the IAF, all squadron maintainers are responsible for all elements of their aircrafts’ basic maintenance, F-15I technicians are the only ones who are divided into different roles such as mechanics, munitioneers and system electricians. 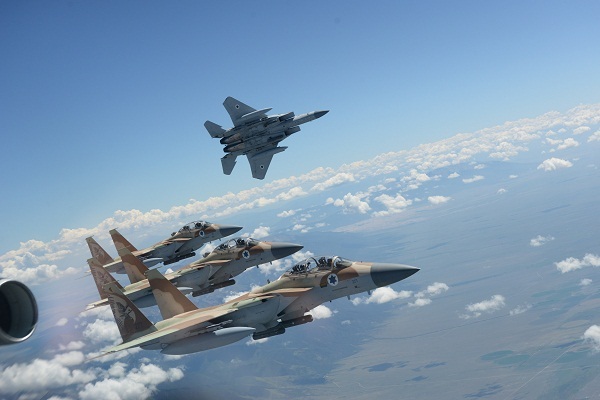 “The F-15I can carry more armament than any other aircraft in the IAF and has unique munitions used only by us”, shared Maj. Roei, the Squadron’s Technical Officer. “These jets need to always be available for any mission, as a result, we have the unique ability to receive information about malfunctions from the pilots in the air in order to repair them quickly and by doing so, keep them usable at all times”.